Jamaica, with its rambunctious culture of Rastafarianism and reggae, its lush emerald rain forests, its waterfalls that descend into crystal clear streams, its rivers, mountains, white sandy beaches, its art, and cuisine, is one of the most spectacular and culturally rich Caribbean islands. 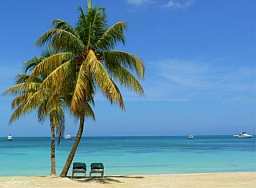 Jamaica is also a poor Caribbean island that almost entirely depends on tourism for its economy. So, whenever Jamaica makes the headlines, it is either described as a great tourist destination or a place with a few challenges. However, the legendary culture of the Caribbean Island of Jamaica is seen in the dry wit of the young locals who pilot tourists around the island, and is heard in its reggae music. The raw beauty and vivacious culture of Jamaica are still its greatest assets, and there is enough optimism and camaraderie among the people to make you overlook the hassles. The Jamaican economy has undergone changes since 1945, when the island was entirely dependent on agricultural products like bananas, cocoa, sugar, and coffee. Since then, the island has become one of the world’s largest bauxite producers, even though this industry had suffered greatly in the 1980’s from low world prices and high local costs. 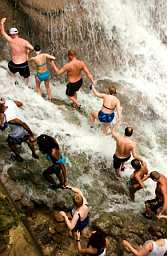 Jamaica has also become a major tourist destination for North Americans. Since 1983, the tourism industry has been Jamaica’s foremost foreign exchange earner. The official currency of Jamaica is the Jamaican Dollar (J$). (J$1 = US$0.01766). 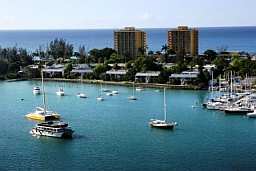 Jamaica, once termed ‘The Pearl of the British Antilles Empire’, has now become a popular tourist and Caribbean real estate destination. The most visited island in the Caribbean, it is now one of the most sought after destinations for returning residents and tourists. Jamaica has recently revised its foreign investor and real estate laws. Presently, both locals as well as foreigners can buy or sell Jamaica real estate and take their profits to any part of the world. Both residents as well as non-residents can receive about 70% equity financing from most local banks to purchase real estate on the island. The hottest areas in Jamaica are the parishes of St. Ann, as well as the coastal area of St. Mary. The reason is that they are well developed and also happen to be the fastest growing areas on the island. Being middle class residential areas, they are clean, quiet, have attractions like the Dunns River, and are very close to the beach. Crime here is practically nonexistent and these areas are less than half an hour away from Ocho Rios and Montego Bay. From country estates to beachfront villas to family homes to condominiums or apartment hotels, and even historic plantations, the Jamaica real estate market is booming. For instance, a two-bedroom apartment in Kingston would cost you about $185,000, while a condo in St. Mary would start at roughly $22,000 USD. For the more budget conscious Caribbean real estate buyer, there are studio apartments that cost about $33,000 USD. On the other hand, the starting price of a lot would be $50,000 USD. To experience a tiny slice of paradise, a visit to the Caribbean Island of Jamaica is well worth the trip! If you are enticed by sport fishing, then the Caribbean Island of Jamaica will definitely ‘hook’ your attention! Jamaica has deep waters, abundant with fish, less than 15 minutes away from the shore. You can hire a fully equipped sport fishing boat and fish to your heart’s content. The scenic views of Jamaica will only add to your fishing experience. While in Jamaica, don’t forget to go shopping. You can spend hours on end hunting for duty-free gifts and treasures while shopping in the towns. And if you are an avid golfer, then you can find some excellent golf courses. In resort towns like Ocho Rios, Montego Bay, and Kingston there are exceptionally good championship courses. In addition to all this, you can also go horseback riding. You can tour through the sugarcane, coconut, and banana plantations, or ride along the beach, or even gallop along a hilly trail. So, if you’re ready to ‘giddyap’, then head to the nearest stable when vacationing in Jamaica. If you are the adventurous sort, then Jamaica offers some excellent deep-sea diving opportunities. Diving here is easily accessible and very affordable! The final legacy of British rule, cricket, the game of true gentlemen, is played widely in Jamaica. Nightlife on the Caribbean Island of Jamaica is vibrant and fast paced. So, if you want to relax and have a couple of drinks after a long day of sightseeing, then there are many restaurants, bars, and clubs that you can go to. If you are into gambling, then there are some action-packed casinos in Jamaica. From great music to scrumptious food, the restaurants and bars offer the best of services and the best of fun. With live entertainment and theme nights, the nightlife here is unique. If you are interested in the theater, then the Centerstage Theatre shows comedies in the native tongue. Even though you may not understand the language, it’s interesting to experience the true culture of Jamaica performed live. The great weather on the Caribbean Island of Jamaica makes it a sough-after Caribbean real estate location. Blessed with a tropical climate, Jamaica has a temperature that averages at 27°C. The heat and humidity are moderated by the northeastern tradewinds that blow at frequent intervals. The temperatures in the mountain regions and plateaus are lower. There is a lot of rainfall, although it varies from one region to another. Jamaica is subject to hurricanes in early autumn and late summer. During the day you should wear casual clothes, while swimsuits and shorts must be confined to the poolside and beaches. Evening attire depends on the place you are visiting. You can be extremely casual in Negril, but during high season in other resort areas, you should dress formally. Some restaurants and hotels require men to wear dinner jackets and ties for dinner. Jamaica is situated roughly 145 kilometers south of Cuba. 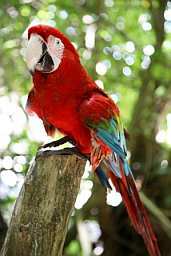 It extends from 235km north to south, and 82km east to west. The coastline stretches for 1,022km. The capital city of Kingston is situated on the southeastern coast. The Norman Manley International Airport in Kingston, and the Montego Bay International Airport in Montego are the two main airports in Jamaica. Air Jamaica is the national airline. Air Jamaica Express operates daily to and from Montego Bay, Ocho Rios, Port Antonio, Kingston, and Negril. For those who wish to travel by sea, the main ports are Ocho Rios and Montego Bay, where several international cruise liners come to call. 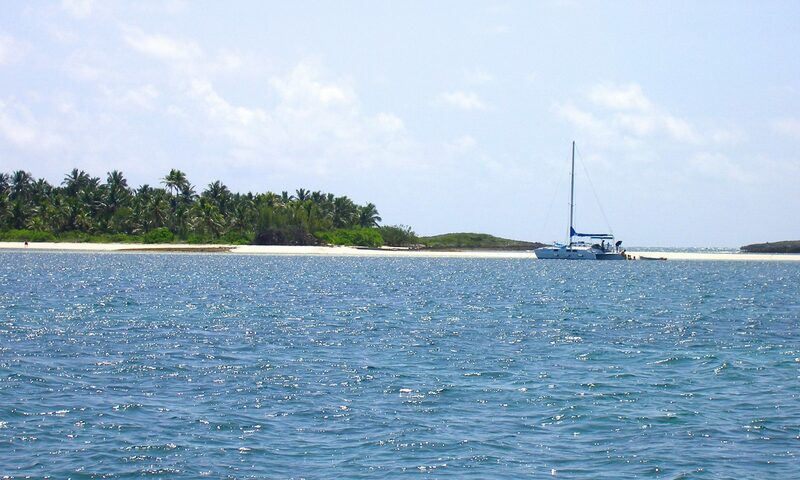 In addition, there are several local operators that run yacht tours and cruises around the island. With over 17,000 km of roads, the road system in Jamaica is extensive. Traffic drives on the left, and speed limits are 30 mph inside the cities, and 50 mph on highways. Bus service within Kingston and Montego Bay are more reliable than those of the trans-island travel services. Minibus and coach tours can be booked at any of the major hotels. Taxis in Jamaica drive on designated courses and generally pick up passengers along the way. Taxis are the fastest and cheapest mode of transport on the island. They usually charge fixed rates, so it is best to check the rates before embarking on your journey. Most big cities as well as airports have car-for-hire facilities. It is mandatory to wear seat belts, and children under the age of 3 years of age must be seated in a child seat. Before the arrival of Christopher Columbus in 1494, the Arawak Indians inhabited the Caribbean Island of Jamaica. A few years later, it was colonized by the Spanish whose rule was then replaced by the British, who in turn made Jamaica one of the most important slave colonies in the Caribbean. In just a few years, the entire island was divided into large plantations, which were worked through forced labor imported from Africa. After slavery was abolished in 1834, the Caribbean Island then became fairly prosperous under an orthodox colonial rule, which lasted till the 20th century. The Jamaican culture is deeply influenced by the various communities that colonized this island at different periods. The Jamaican people of today have mixed traditions from European, East Indian, East Mediterranean, African, Arabic, and Chinese ancestors. The culture of the native Arawak Indians was never rooted in Jamaica. The 300-year-old British rule is reflected in both the customs as well as the language of Jamaica. 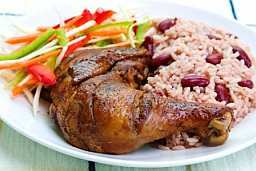 When thinking about Jamaica, the first thing that comes to mind is reggae, which is a condensed form of Jamaican music. Highly political in nature, reggae is a genre of music that has emerged from traditional Jamaican music having Black American and African roots. In the 20th century, the famous singer Bob Marley popularized reggae. Jamaican folk music is said to have originated in West Africa. Traditionally, Jamaicans are religious people and celebrate most traditional Christian holidays. Christmas is celebrated with communion services, concerts, the singing of carols, candlelight ceremonies, and overnight prayer meetings. From the lighting of the Christmas tree to the Christmas meal, Christmas is by far the most celebrated festival in Jamaica.